Wingaru Butabuta is a cultural awareness training program designed to support organisations seeking to improve their cultural capacity through a shared understanding of the issues Aboriginal people face, both today and in the past. Cultural awareness training seeks to recognise, appreciate, understand and accept cultural differences to strengthen organisations, their teams and the services they offer. Shared understanding of Aboriginal and Torres Strait Islander people and the issues they face. Increased cultural sensitivity amongst staff. Better servicing of Aboriginal clients and customers. Fosters improved communications internally and externally. Create or consult on culturally appropriate education resources. Create culturally inclusive programs for your organisation. In-service for schools, early childhood organisations, and out-of-school-hours care providers. Patricia Wallace is a Darug woman who grew up in the Blue Mountains of NSW. Spending her childhood playing in ‘The Gully’, a very important place to local Aboriginal people and being taught stories and culture by her father and aunts, Tricia has always had a strong connection to her culture. Tricia’s mother passed on a love of education and encouraged Tricia to become as educated as possible and to use her education to share culture and knowledge because it is only through sharing knowledge that we can educate each other. 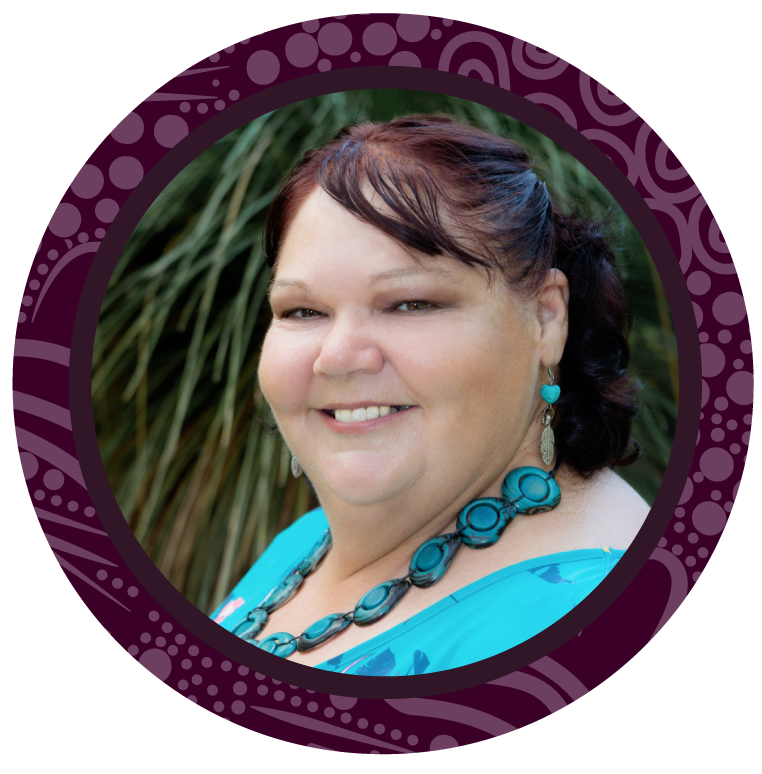 Tricia has over 30 years of experience delivering services and programs to Aboriginal people and over 15 years experience delivering cultural awareness training to both government and non-government organisations. Tricia’s qualifications include Bachelor of Education, majoring in Aboriginal studies; Diploma in community Servicing; Diploma in Aboriginal Mentoring and Certificate III in Workplace Training and Assessment. Cynthia O’Brien-Younie is a Dunghutti woman from the Mid North Coast of NSW. Cynthia is one of twelve children and grew up in a large family, fostering her pride in her culture and identity. Cynthia is passionate about sharing her culture and knowledge to support the development of a shared understanding amongst Aboriginal and non-Aboriginal people. She believes that through education comes understanding and through understanding comes acceptance. Cynthia has over 38 years of experience across the private and public service, supporting Aboriginal people and working with government to improve services for Aboriginal people. Cynthia is a qualified facilitator with over 13 years of experience delivering cultural awareness training to both government and non-government organisations. 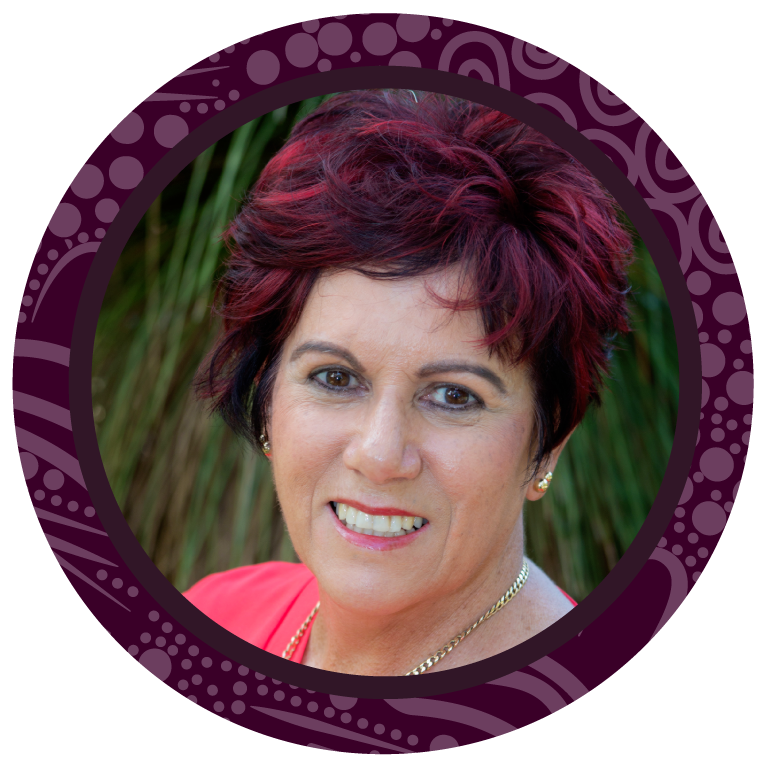 Cynthia’s qualifications include: Diploma in Aboriginal Mentoring; Diploma Aboriginal and Community Services; Certificate in Aboriginal and Torres Strait Islander Cultural Competence; and Certificate III in Workplace and Training and Assessment.